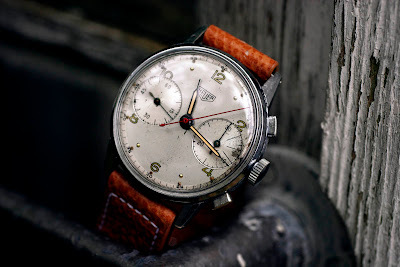 I have own this early Heuer chronograph for some years now, but have not known much about it. When I put on a NOS pigskin-strap with the correct vintage look last week I deceided to do some research. 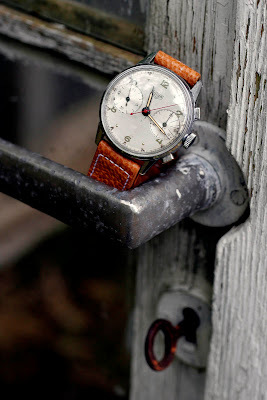 The movement is an early Valjoux 22, with an unsigned bridge. This is no problem, several early Heuers have unsigned movements. 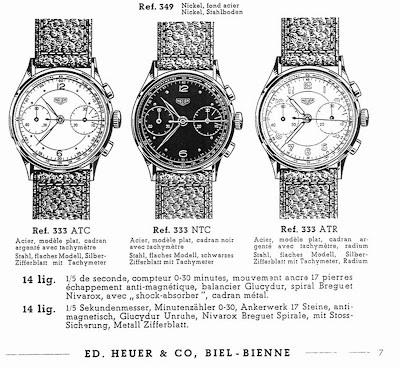 From 1945, Heuer signed all movements. 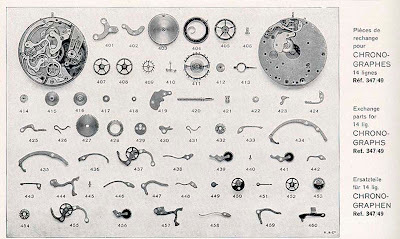 In a 1938 Heuer catalogue I found the movement listed as ref. 349. In a 1945 Heuer catalogue I found the right case. There's only on problem, they are listed as steel case, and have wrong ref. number. 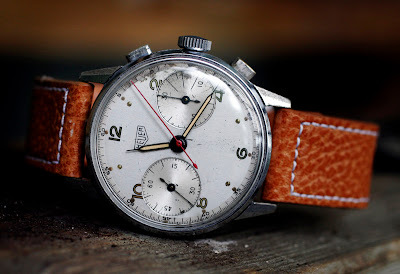 But over the three there is listed a ref.349 with Nickel Case - steel back. No picture. This matches my chronograph, Val.22 and Nickel Case, steel caseback. My watch has the same shape of the case, pushers and crown. I think I have a match, and that this is a Ref.349 dated from somewhere between 1938 to the mid 1940's.